This article is about a powerful feature in Testpad called "Guest Testing". 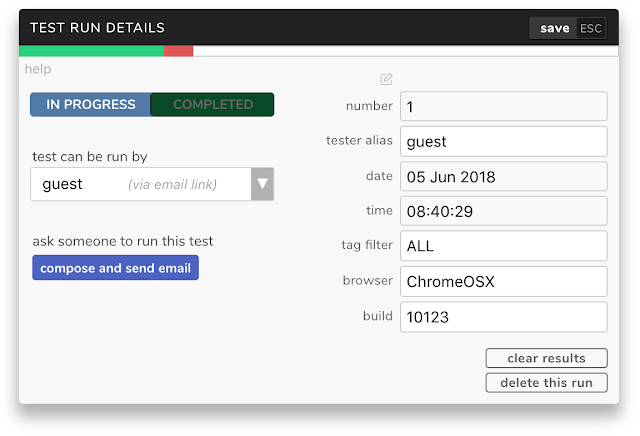 It does what it says on the tin: you can invite guest users to help make test runs, testing your software as prompted by your test plan and recording results. 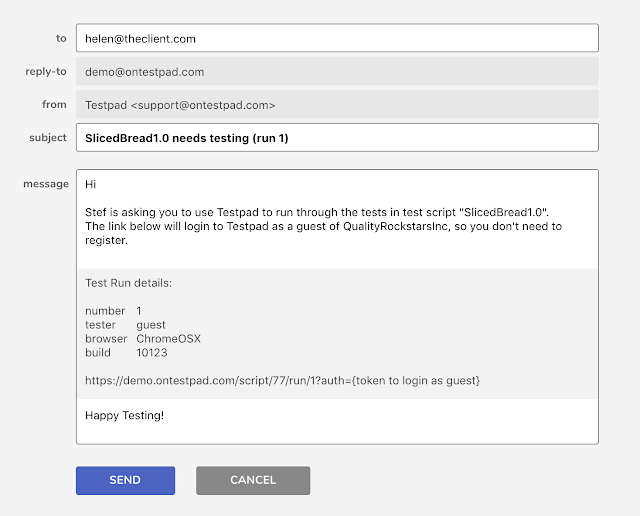 Guest testers don't need logins to your Testpad workspace. You invite them by email, and a special link gives them time-limited read-only access to just the test plan (script) that you've invited them to help test. 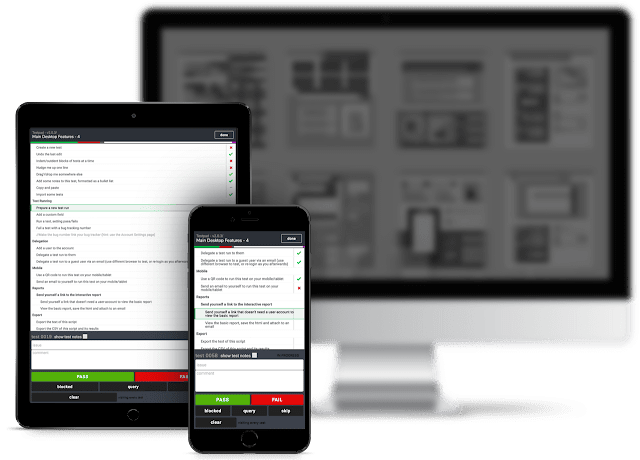 And with Testpad's near instant learning curve, anyone you do invite can immediately get on with that testing, without formal training or induction to your tool chain. OK. So why is this so great? Test results in Testpad are recorded in columns to the right of test prompts. Each column is to record a different set of results against the same prompts (although filters could be used to vary the subset that's actually tested). Columns are mostly used to establish test runs against different environments such as different browsers for webapps, or different phones for mobile apps. Columns can also be used for the same environment but for different testers (you get a higher chance of finding bugs if different brains can look at the same test ideas). 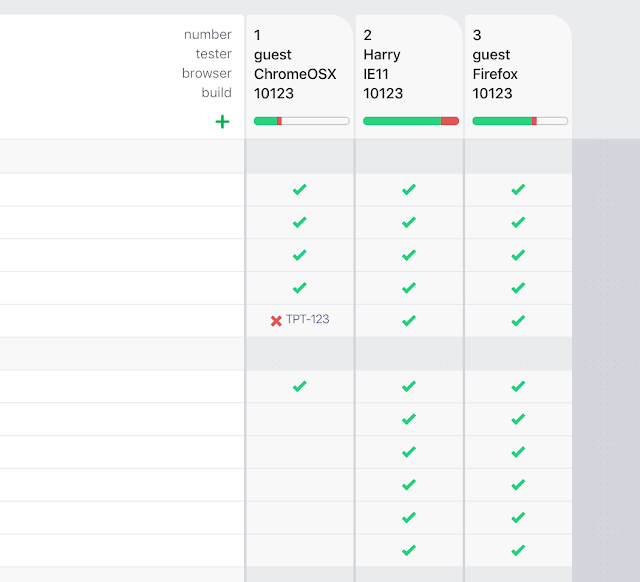 For guest testing then, you initiate the process by assigning a Test Run (column) to "Guest". When the dropdown box is used to select "Guest" as the assignee, a button below appears for composing and sending an email. Use this button to address, and optionally edit the contents of, an invitation email that will give the recipient a link they can click on to make the test run. The recipient of the email will get a link, like a document sharing link, that gives them some restricted access into your testpad account. Specifically, they get read-only access to that one test plan (script) to record results against that one test run (column). For practice, you can send guest test invitations to yourself to see what the experience is like. Though note that clicking on a guest link will log you in as Guest... which means logging you out as your normal user. Top tip: for practicing with guest testing, open the guest test links in a different browser. That way you can stay logged in in your usual browser. This doesn't really need description - which is the whole point! 1. Click on the link you received. 2. Follow the test prompts. 3. Record appropriate comments and the pass/fail status. Well, OK. The simplicity here will depend on your test prompts and the complexity of your software under test. Testpad does it's bit to not add to the complexity however, reducing the task to prompting and recording results. If your prompts are more exploratory in style, i.e. they're not full of detailed instructions to do this, then that, then that, then expect exactly this and that; but instead suggest looking at e.g. unicode input in the login page, or forgotten passwords for returning users, then they will need the Guest Testers to engage brain and be imaginative in what they actually test. Lastly, don't miss that Guest Testing links can be opened on mobile devices as well as desktop devices. On most tablets and mobile phones, you get a mobile version of the testing interface. Being prompted for and collecting results on a separate device can be very practical; it saves the tester from constant context switching on their main screen between the app under test and the test mgmt tool. So that's it for now. Any questions about how any of this works, please don't hesitate to contact support@ontestpad.com. PS. 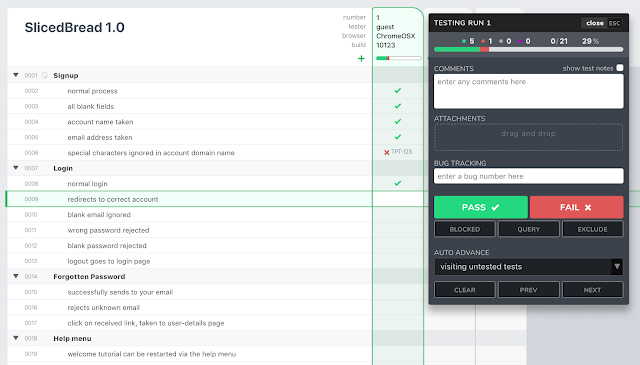 Guest Testing is a premium feature available from the Team Plan and upwards. However, it is available in the Free Trial, so give it a go and see for yourself how convenient it is to bring in extra, or even external, help when the pressure is on to make a release.